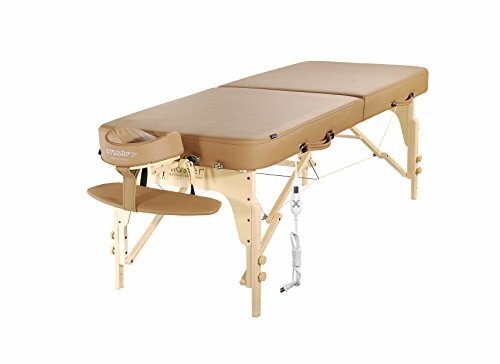 Top-of-the-line built-in adjustable heat system and beautiful craftsmanship all in one portable table: That is Master Massage's Phoenix Therma Top. 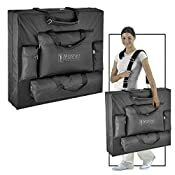 Master Massage's patented ThermaTop adjustable warming system soothes muscles, increases circulation and improves vitality of customers. As additional safety precautions, the ThermaTop is ETL-Certified to North American safety standards and is EMR-safe. The Otter colored PU upholstery is edged with French stitching and is oil and waterproof, as well as CFC-free. From strength to comfort to safety, both professional and clients will experience nothing other than an incredible bodywork or salon experience. Out Therma-Top is far more sanitary than any warming pad and pads can get “yucky” from oil and sweat build up over time. It’s an extra wide 30”x72” size with 3” foam including a generous layer of Memory Foam. The Ergonomic Dream Adjustable Face Cradle with Memory Foam pillow gives you maximum comfort keeping your clients coming back. Another high-end, long lasting, safe Massage Table investment from MASTER.